Situated just a 10-minute drive from Ibrahim Nasir International Airport, Beach Palace welcomes guests with free internet access and an in-house restaurant. Sweeping sea views can be enjoyed from the private balcony. 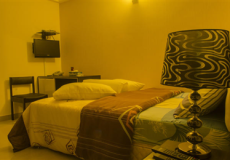 All the rooms at Beach Palace are tastefully furnished with a flat-screen TV, minibar and writing table. En suite bathrooms come with free toiletries and hot-water showers. 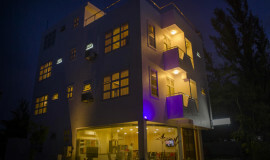 This modern building is located only a few steps from Hulhumale Beach. Malè City Centre is 5 km away. 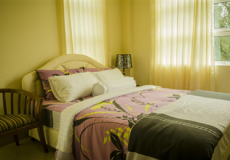 A 24-hour front desk can assist with laundry services and luggage storage space. Guests can also make use of the barbeque facilities and diving activities can be arranged. Airport shuttle services are available at a surcharge. Local Maldivian and international cuisines can be enjoyed at in-house restaurant. For alternative dining options, room service is available. * Internet – FREE! WIFI is available in all areas and is free of charge. Suplements are not calculated automatically in the total costs and will have to be paid for separately during your stay.